Feeling a little Stressed? Having Muscle Cramps? Muscle Fatigue after a workout? Our Magnesium Body Lotion can be applied as a topical without taking oral supplements..
A little known fact is more than 55% of US population is magnesium deficient. Transdermal magnesium therapy is a new form of magnesium supplementation that is easy, convenient, and affordable. Transdermal, or “topical” magnesium is particularly helpful for those seeking a safe method of increasing magnesium intake. 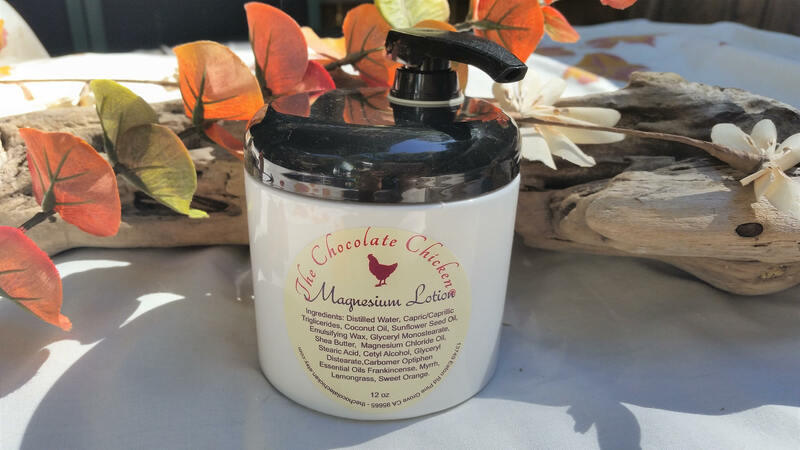 Magnesium Body Lotion can be applied to any part of the body, particularly the soles of the feet, or areas where you are experiencing muscle aches or pains – such as the lower back, feet, legs, neck or shoulders. 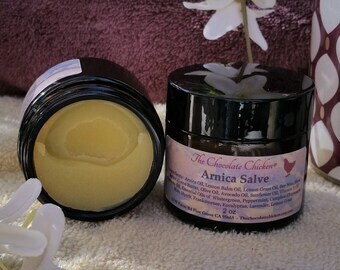 This hydrating cream also acts as a natural sleep aid when applied before bedtime. Allow the lotion to stay on your skin for at least 20 to 30 minutes (although longer is fine) as transdermal magnesium requires this length of time for absorption. The skin is the largest organ of the body, and it absorbs magnesium more efficiently and distributes it more effectively than consuming magnesium in dietary or supplemental forms. 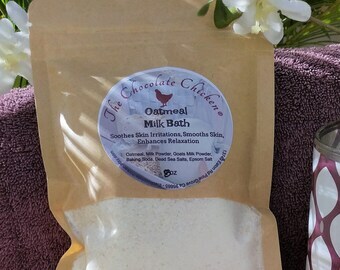 Our Magnesium lotion has a thinner consistency due to the magnesium oil used in our product. This Lotion is handmade and made with only the finest ingredients available. Ingredients: Distilled Water, Capric/Caprillic Triglicerides, Coconut Oil, Sunflower Seed Oil, Emulsifying Wax, Glyceryl Monostearate, Shea Butter, Ancient Minerals Magnesium Oil, Stearic Acid, Cetyl Alcohol, Glyceryl Distearate, Carbomer Optiphen, Essential Oils, Frankincense, Myrrh, Lemon, Sweet Orange. The anti-inflammatory benefits of sunflower oil for skin is evidently strong as the oil is high in Omega-6 (linoleic) fatty acid along with Vitamin E. Sunflower oil when applied to skin, can be effective against acne, eczema, scarring, redness and irritation. Sunflower oil is an incredible hydrating agent. Coconut Oil has saturated fats that helps the skin stay moisturized, with the fat preventing moisture loss through the skin’s pores. These fats give the skin a healthy, smooth and even tone. 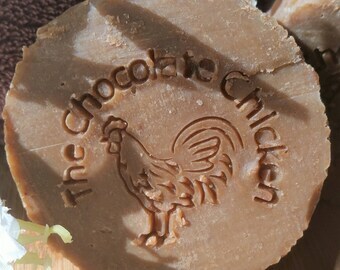 Shea butter nourishes the skin with Vitamins A, E and F. Vitamins A and E maintain the skin and keep it clear and healthy. 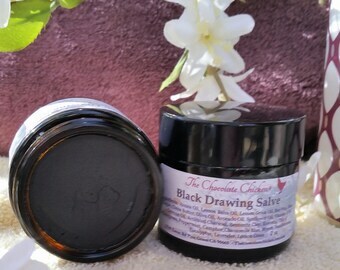 They are particularly helpful for sun damaged skin and to help prevent premature wrinkles and facial lines. The Vitamin A in shea butter is important for improving skin conditions, including blemishes, wrinkles, eczema, and dermatitis. Vitamin F acts as a protector and rejuvenator soothing rough dry or chapped skin. Ancient Minerals Magnesium -utilizes only Genuine Zechstein™ magnesium chloride, the purest and most pristine source of natural magnesium chloride in the world, extracted in a preserved state from an ancient time millions of years prior to our modern age. There are no added ingredients except those found naturally occurring in the deep underground deposits of this pristine source. The ancient Zechstein Sea, a geological formation in Northern Europe from the Late Permian Era. For 250 million years Genuine Zechstein™ magnesium salt has been protected deep within the Zechstein Seabed at a depth of 1600-2000 meters beneath the earth’s crust, isolated from the impurities of the modern world. Our Body lotion contains NO Parabens and NO Artificial Colors. This magnesium lotion contains approximately 145mg of magnesium per teaspoon. per pound of body weight. To use: Rub the lotion on before going to bed. A slight tingling or itching sensation may occur when first applied in those that have a deficiency. This will subside with regular use. For external use only. Always perform a test patch before use and discontinue if irritation occurs. Avoid wounds, cuts or broken skin when using this lotion. Why Does Magnesium Sting & What Can You Do? Surely, you heard the maxim “Don’t rub salt in the wound.” The reason rubbing salt in a wound does not play as a good idea is because, it stings. It also disinfects. Magnesium flakes comes as an equal with salt. If you own a sensitive skin, freshly shaved skin, or a rash, cut, or scrape, applying magnesium lotion may sting. normal. Prolonged transdermal magnesium use will lessen the effect and eventually will go away completely. Please consult your doctor if you are unsure if you or your child should use this product. Individuals who are pregnant, nursing or have a medical condition should always check with their healthcare provider before using essential oils. Store products in a cool and dry place. What a great product, thank you so much. This really Magnesium Lotion has really helped me sleep.. I suffer from Osteoarthritis. And dont like taking meds. I put it on my lower back, and my knee. and have really felt the difference. Will save you as one of my favorites. If you have tight muscles, nervous leg or everyday pains i highly recommend this product. Really I can't say enough good things about it. I recently had a total hip replacement. This lotion helped me get through the nights. I use it every day. Now on to this knee replacement the Doctor said I needed.. Very nice! Generous size! Very quick shipping. Thank you! Super fast shipping and my skin is soooooooo soft. I bought this because I read magnesium helps with anxiety ( too soon to tell) but I'll be ditching all of my "regular" lotions for this from now on.